The Simms Dry Creek Duffel is back and better with molded foam, zippered top and burlier material than the previous model. Dry Creek Duffel is made with Simms highest quality material easy to pack and is perfect for that trip on the river. 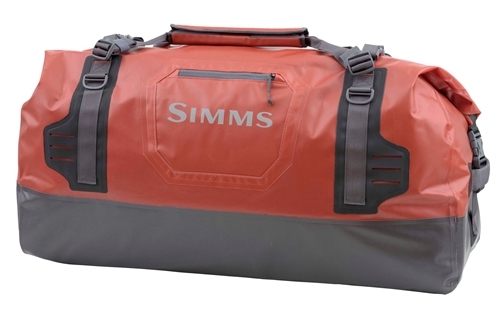 The Dry Creek Duffel waterproof Simms bag is a great splash proof bag and will help protect and keep your gear safe. The large Dry Creek Duffel can hold a TON of fishing gear, equipment and whatever else you can think of to throw in there. Your gear is sure to be safe and dry inside this duffel bag. The zippered top is a nice addition to the roll top feature to make sure everything will be safely dry inside. CAPACITY: 130L, 7933 cu. in.